After a full day of being home alone with my computer and cell phone in hand, I had come to know a lot about this boy band from the UK. Where they are from, how they got started, when they were born, and who they were dating. One Direction is a boy band from the England and Ireland. They all auditioned for the X-Factor UK as solo artists in 2010. They all made it into the next round, but were all cut during the boot camp stage. Shortly after, they were all called back and were put into a group by their now manager, Simon Cowel. They had made it to the live shows and made it all the way to the finals, but were placed third in the final show. But who cares. 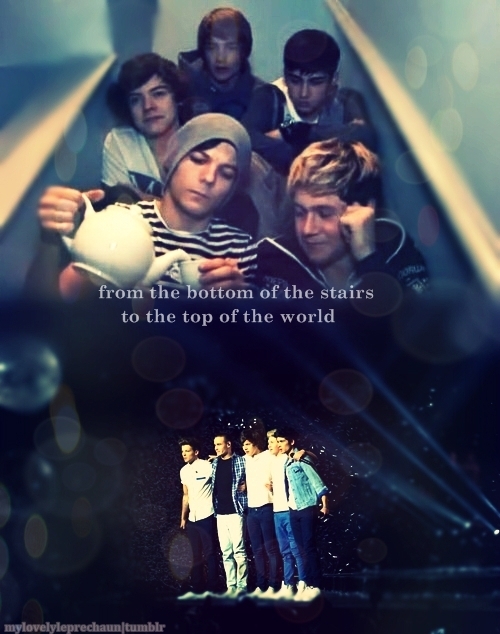 They are now the BIGGEST boy band in the world. I remember this specifically, that same night after I had officially become obsessed with One Direction, I went to Gruene Hall with my friends to go dancing. (That’s a thing we do on summer nights in New Braunfels, Texas) My friends, Kelsey and Mary-Cate, and I were all standing outside the dance floor, and I asked them, “OMG have you heard of One Direction? They are beautiful.” They both agreed and that was just the beginning of our Summer of One Direction, as we like to call it. Shortly after that night, I followed them on twitter, and I remember a specific day where Kelsey and I were both on twitter tweeting them up a storm because we wanted them to notice us so badly. They had just released their Up All Night Tour DVD and since we were rookie fans, we didn’t even know about it. So that day One Direction sat down in the living room, pressed play, and live tweeted throughout the entire movie. So here’s Kelsey and I, tweeting these boys, acting like we are watching it with them just so they would Possibly tweet us back. But nah, that didn’t happen.